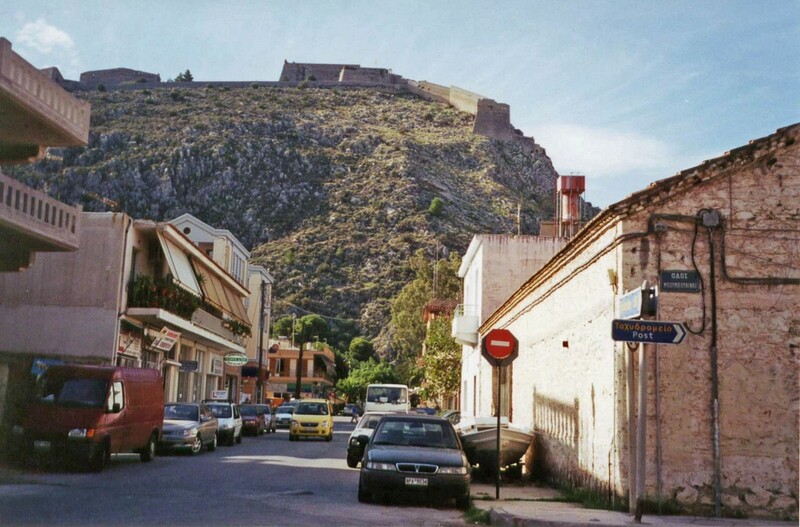 From Athens, we caught a bus to Nafplion and then walked to our accommodation in Hotel Nafsimedon. 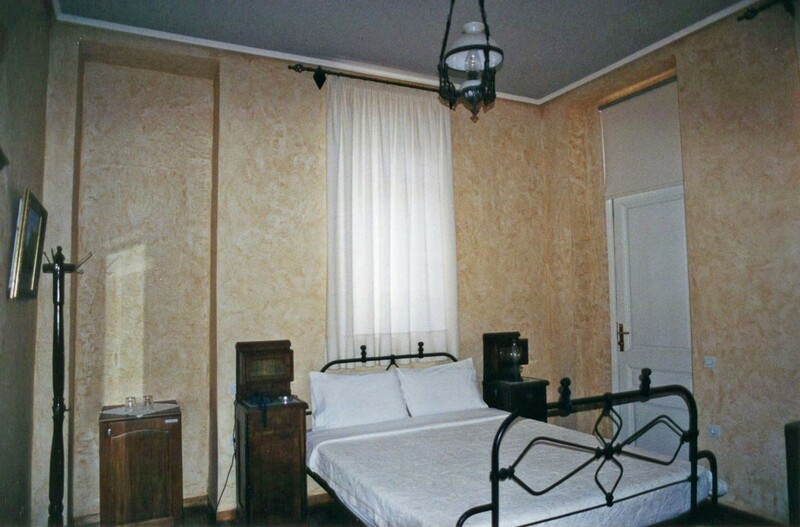 Somehow, we do not have a photo of the outside of the hotel, but this was our room. 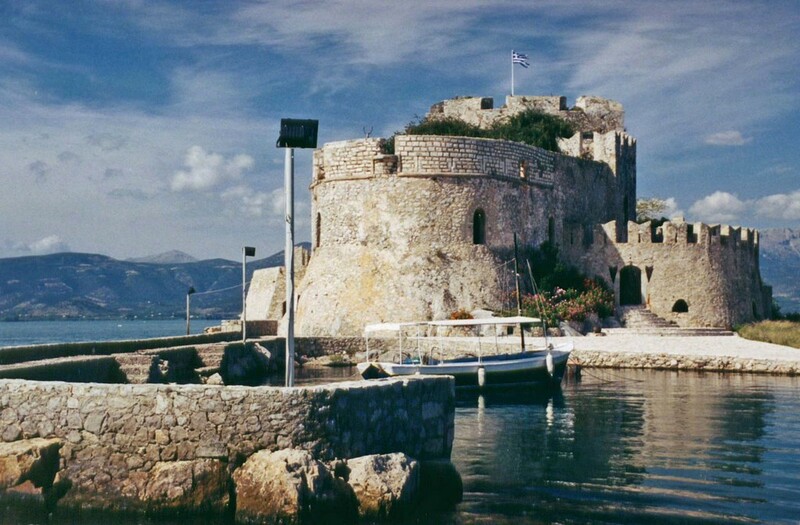 Nafplion was a very pleasant place to relax for a few days. Nice and level in the main area near the waterfront, but rising steeply away from it. 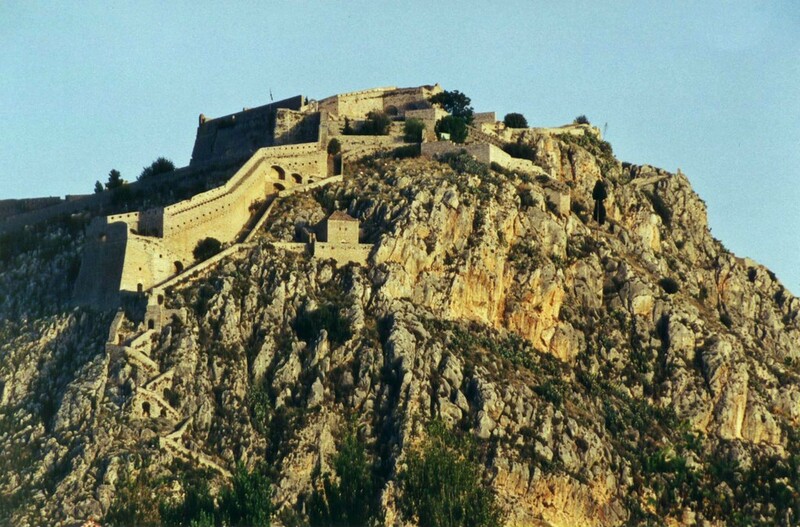 Dominating the hill above the town, and visible all the time, is the Palamidi fortress. 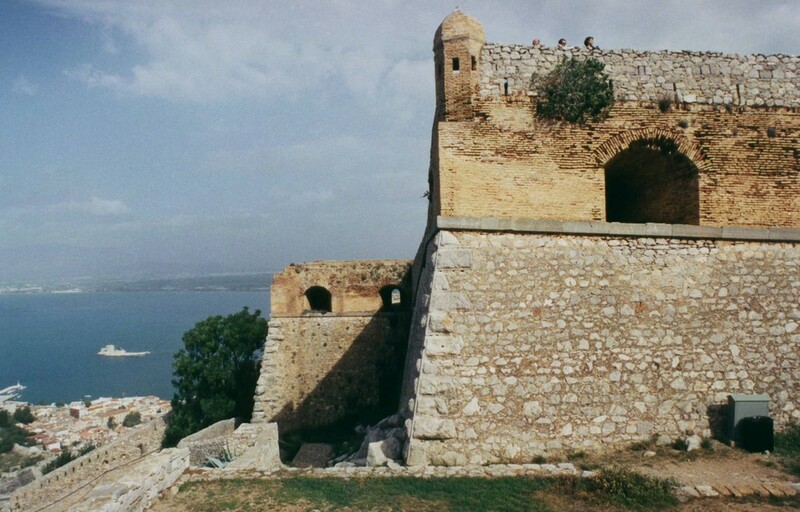 The Venetians spent three years building Palamidi, only to have it taken by the Turks the next year. 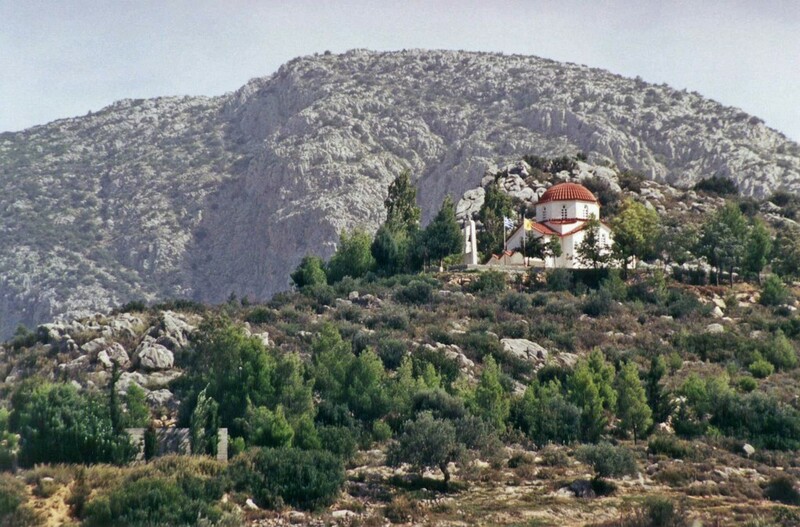 There are over 800 steps from the town to Palamidi. 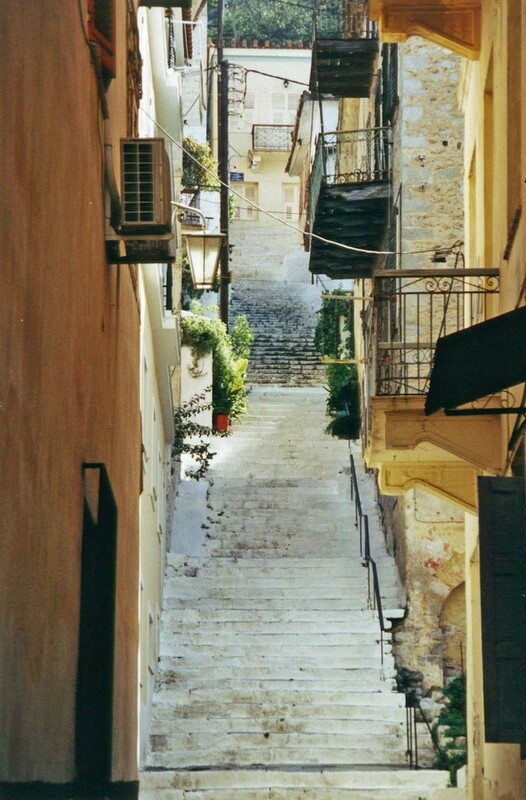 Fortunately, there is also a road up the other side of the hill. 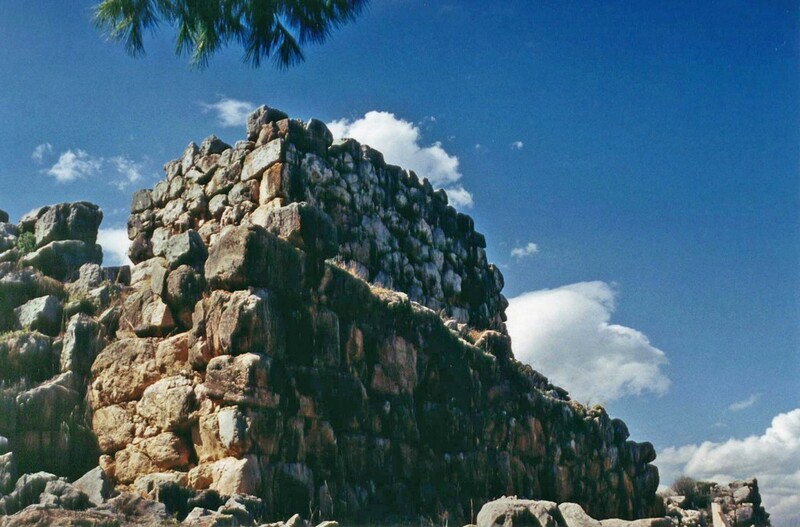 Like many fortresses, Palamidi is actually more impressive when seen from a distance than from inside. 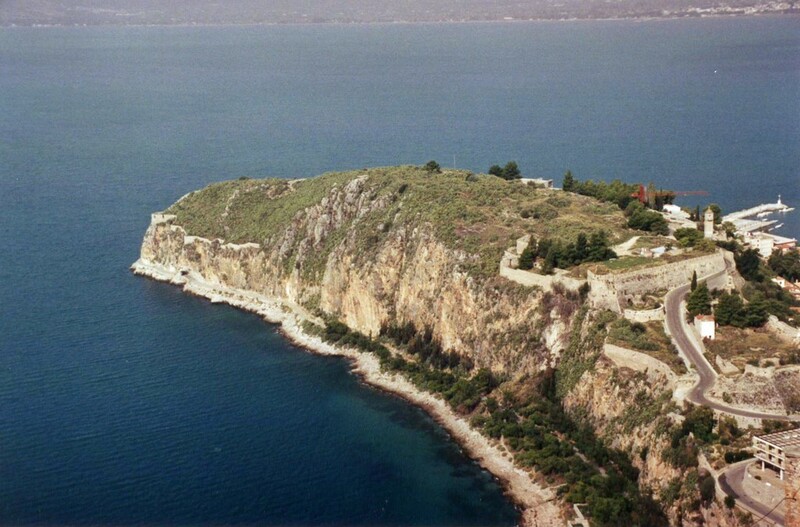 Further out on the headland, and lower down, is the ruined fortress of Acronafplia, built by the Greeks with later work by the Venetians. 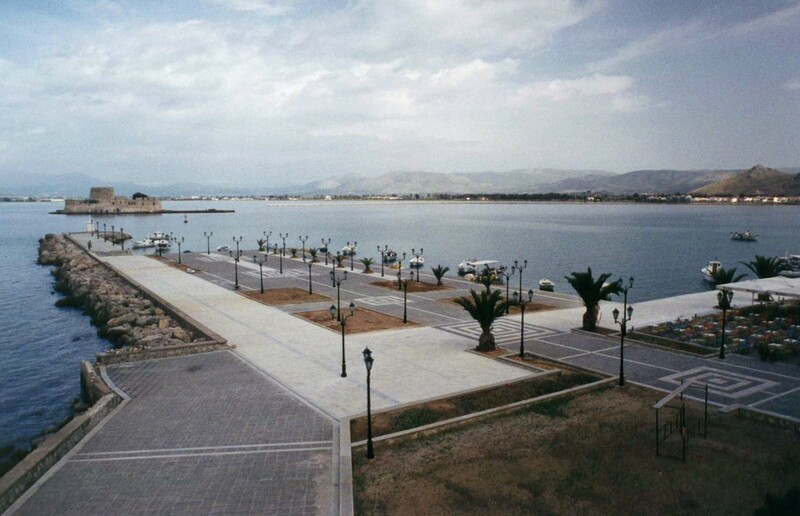 Nafplion still has a working harbour, although it was not very busy while we were there. 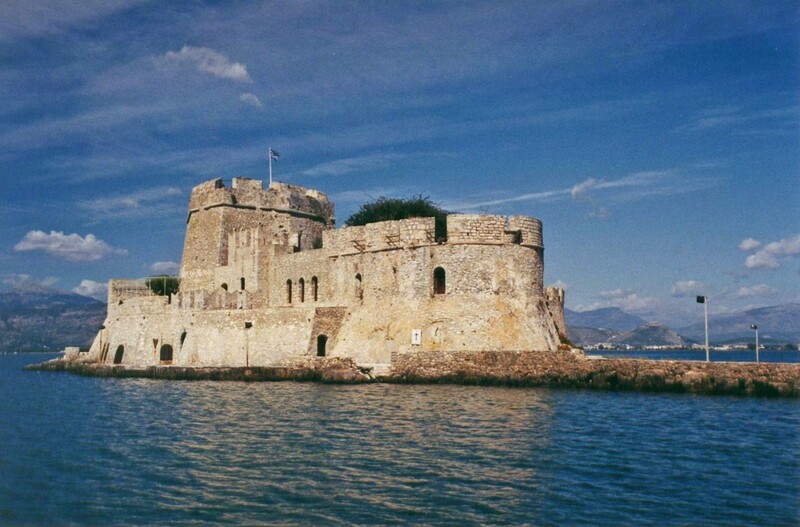 Out in the harbour is Nafplion's third fortress: the little Bourtzi. We caught a boat out to Bourtzi and had a look around. 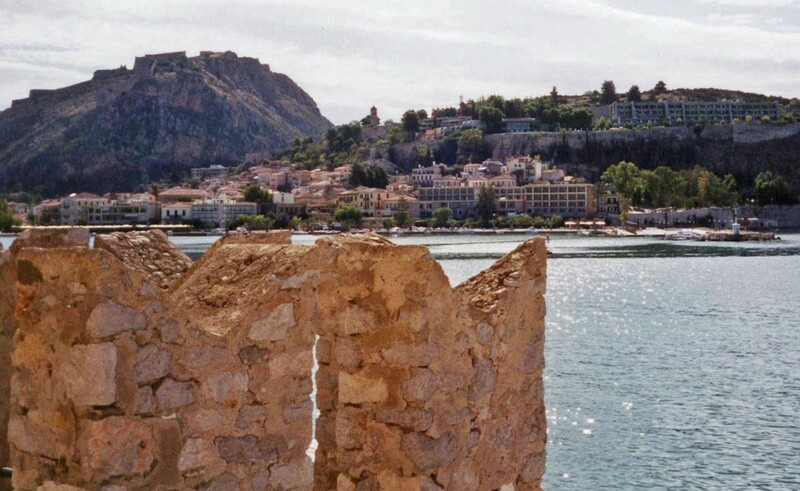 View of Nafplion from Bourtzi. 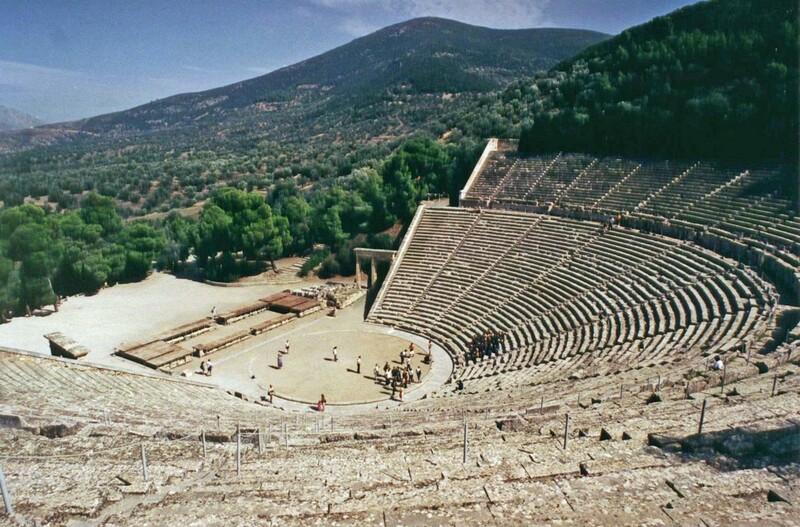 We rented a car for a day to go to the ancient theatre at Epidaurus, which is still used for performances. The acoustics are excellent: a small sound made at the centre of the stage can be heard from all the seats. Another well-maintained church in the middle of nowhere. 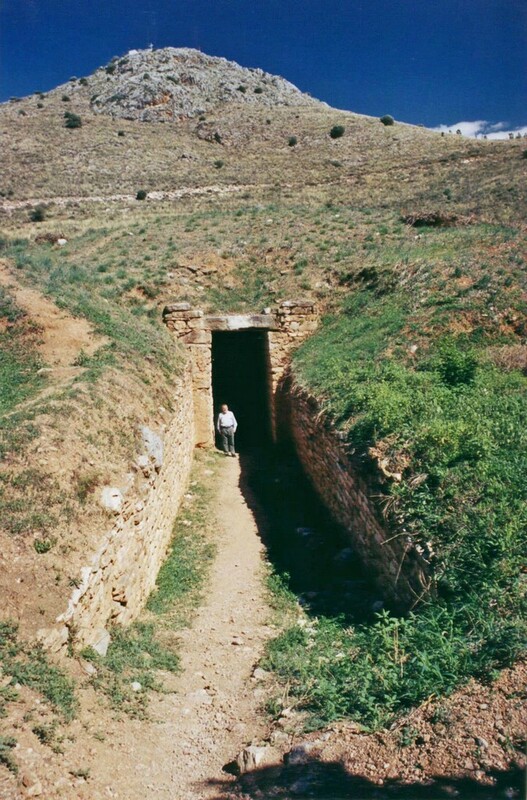 ... and the ancient Mycenaean citadel of Tiryns. 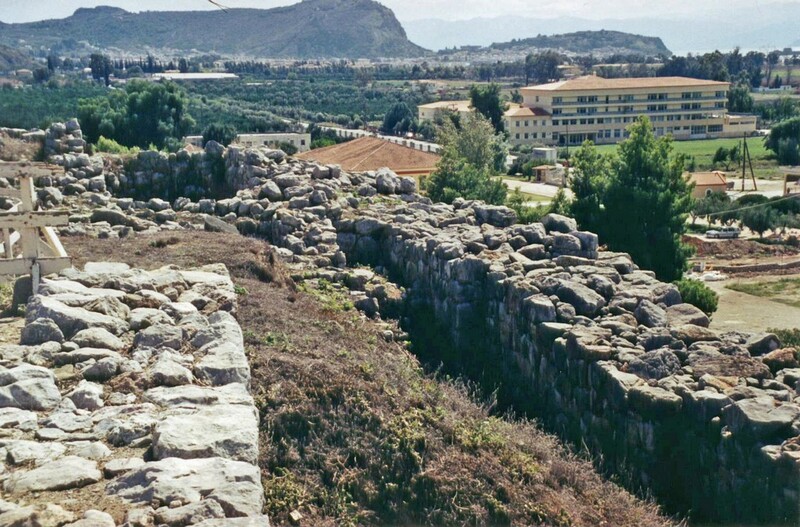 View from the top of Tiryns with Nafplion in the background and, just across the road, the modern prison. 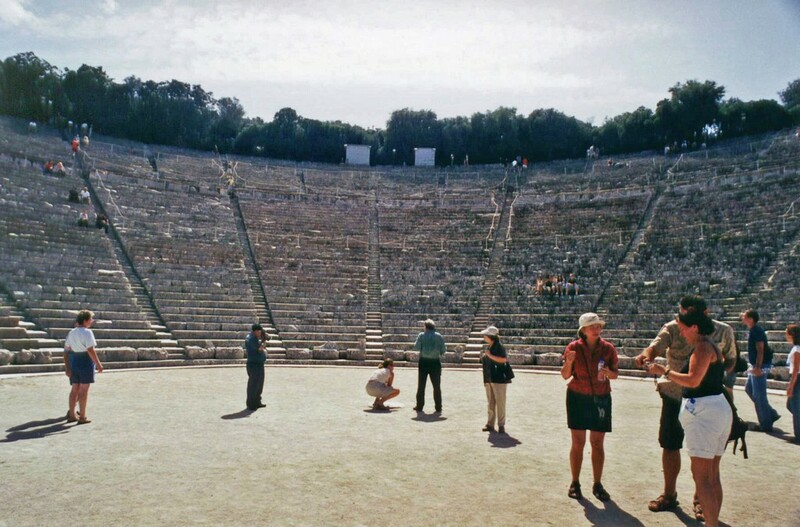 Then it was back in the bus for a few days in Athens.